Suzuki Burgman Street is the latest 125cc maxi-style premium scooter. It classifies as a touring scooter equipped with many important latest features. Suzuki‘s dominance in the ever-increasing scooter segment was dropping drastically. It had only 2 scooters earlier, which made the matters even worse. With its latest addition, Burgman Street, it somehow came back to life again. 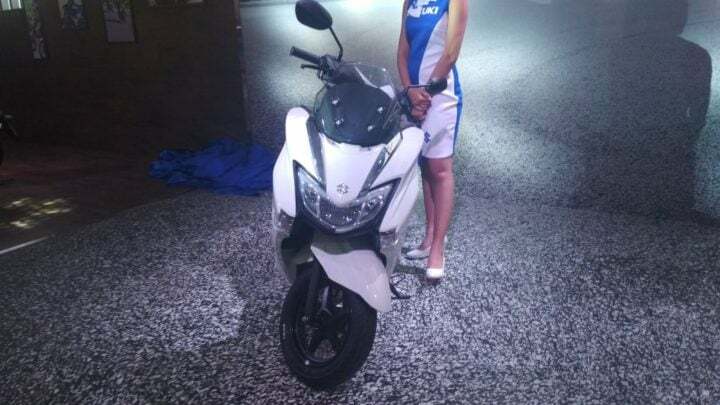 Now, maxi-style scooters get a large front apron with a tall stance and a beefed up body. 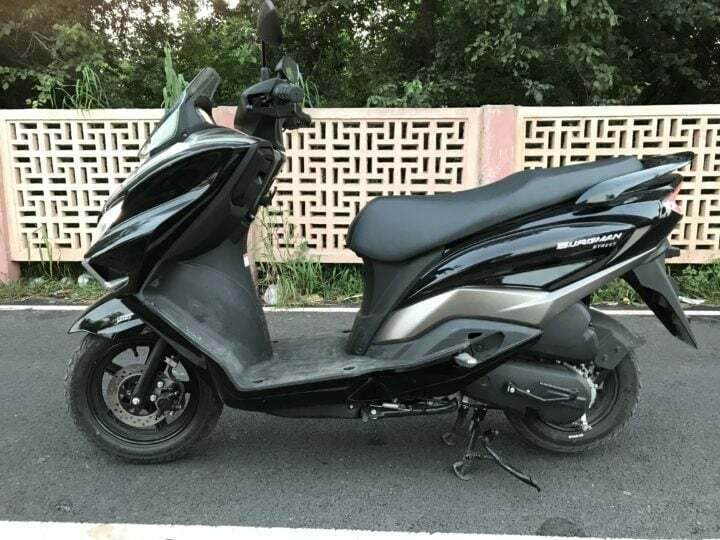 However, the Burgman street is not a full maxi-scooter, but a rather evolved scooter for the Indian markets. Despite the unusual but refreshed design, it still looks quite premium. Suzuki has equipped Burgman with the latest features but has priced it a bit too high. At Rs 68,000 it competes against TVS Ntorq 125 and Honda Grazia, primarily. It is the priciest amongst these two scooters. 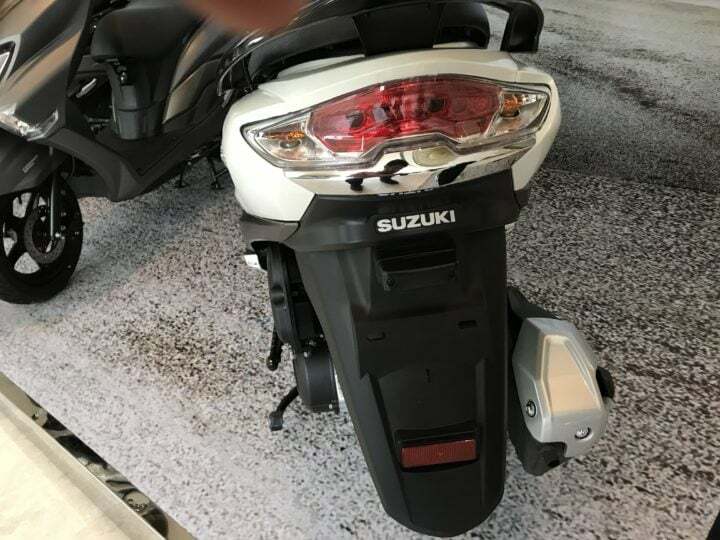 Given that it is a premium scooter offered by Suzuki, it is priced at Rs 68,000 (ex-showroom). Also, Burgman Street after its launch will come under a highly competitive 125 CC scooter segment. Suzuki Burgman Street 125 shares its underpinnings with Access 125. The Burgman uses a 124.3 cc, single-cylinder, air-cooled engine tuned to produce 8.7 bhp at 6500 rpm and 10.2 Nm of peak torque at 5000 rpm. It gets an air-cooled cooling system. As the scooter is heavier than Access 125, it gets a heavy motor tuning for the same power outputs. 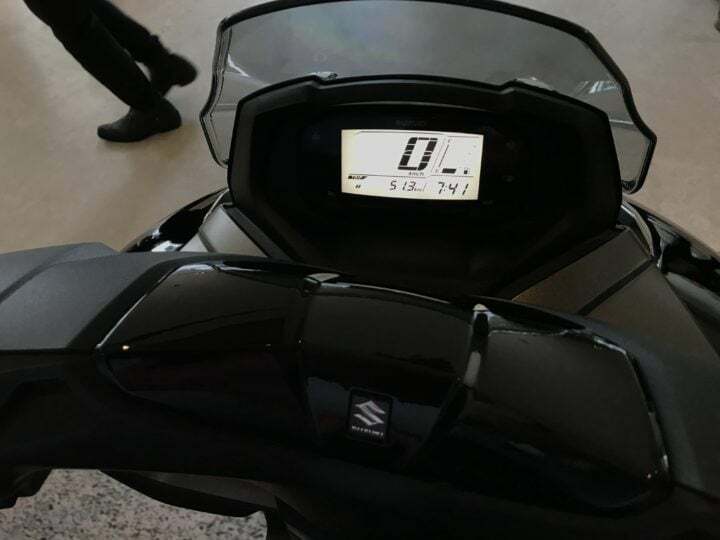 Suzuki claims that the scooter will deliver a mileage of 53 KMPL. It comes with a fuel capacity of 5.6 Litres with a reserve fuel capacity of 1 Litre. It delivers a riding range of around 340 Kms with full petrol. The top speed of the scooter is 95 km/hr. Burgman Street 125 measures 1880 mm in length, 1140 mm in height and has a ground clearance of 160 mm. It has a good seat height of 780 mm with a wheelbase of 1265 mm. Also, it weighs 108 Kgs which is heavier than the Access. So, if the same motor tuning as in Access is continued in Burgman Street, the power outputs will be poorer. The Burgman Street gets a very elegant yet sporty design. It comes with dual LED headlamps in the front beside a large windshield. The scooter gets stylish five-spoke alloy wheels and boldly designed body panels that make it look nothing like anything else on the road. It shares some of its bits and parts with Gixxer as it copies the same LCD Instrument panel from the bike. It gets a step up wide seat which comes with lots and lots of cabin space. In the rear, it gets an LED tail lights with big side rails. The exhaust muffler is a little big but comes with a unique design, easy enough to catch attention. It is not confirmed yet, but speculations say that Burgman Street might come with a plastic body for reduced weight. The Burgman Street comes with different features globally, which might not come in the Indian version. Also, the Burgman is heavier than the Access, tipping the scales at 108 kg. Other mechanicals remains the same as well including telescopic forks up front and a single shock absorber with hydraulic at the rear. On the front wheel, it gets disc brakes and drum brakes in the rear. Internationally, the scooter gets ABS as a standard fitting, which the Indian version does not get. The Burgman Street comes only in 1 variant. Currently, the 125 CC segment is quite hot as most of the scooters in that segment are offering something new on their scooters. The Burgman faces a challenge from Honda Grazia, TVS Ntorq 125, Vespa S 125 and Aprilia SR 125. However, as the design stands out from all the scooters, it can also prove as a USP for Burgman Street.